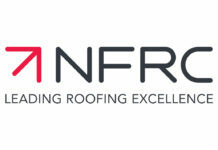 The Lead Contractors Association (LCA) and Federation of Traditional Metal Roofing Contractors (FTMRC) are two significant contractor organisations within the heritage roofing sector with a proud reputation for demanding the highest quality ethic of their members, both in terms of craft skill and attitude. Sharing the same secretariat, these organisations are now seeking a similarly committed individual as a Senior Administration Manager. The present incumbent is supported by three administration staff based at our offices in East Grinstead. Office location need not restrict applications for the role which has a wide variety of senior administration and management responsibilities for our UK wide federation memberships. This hands-on management role calls for an experienced administrator and organiser with a progressive outlook and proven interpersonal and communication skills, demonstrated at all levels and through varied media. 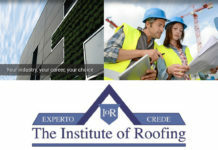 Although not essential, knowledge of the roofing sector would be an obvious advantage, as would relevant technical and / or training experience in lead sheet and hard metals. As well as ongoing liaison with contractor members and manufacturing associates, responsibilities include event management (conference, training and seminars) meeting organisation and attendance, financial control and reporting, publication creation and editing, promotions and PR, website maintenance and development, liaison with key players in the construction and heritage sectors and further wide ranging responsibilities crucial to the well being and future development of two progressive trade associations. The position is for a full-time, self-motivated and dynamic individual, on either a directly employed, or self-employed basis. 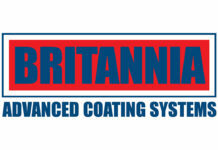 Initial salary / fee income will be upto £60K, commensurate with experience and ability as the LCA and FTMRC look to further build upon the secure foundations which have been laid and developed for their membership organisations. Applications are initially being processed through the East Grinstead Office and should be forwarded to the Lead Contractors Association, Centurion House, 36 London Road, East Grinstead RH19 1AB or emailed to rwr@leadcontractors.co.uk. Interviews of shortlisted candidates will take place during April, with the appointment to be made from May 2019 onwards.